Police are appealing for information after a fatal crash in Lancaster. Police are appealing for information following a fatal crash in Lancaster. 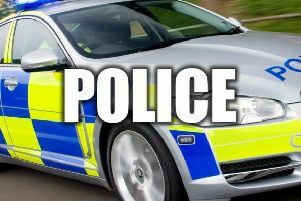 The incident occurred at around 10am yesterday (Sunday September 17) on Caton Road, when a Volkswagen Scirocco crashed into a lamp post. The driver, who has since been named as 56-year-old Alan Roper, from Carnforth, was taken to Royal Preston Hospital for treatment but sadly passed away a short time later. At this point it is thought he may have suffered a medical episode at the wheel. Police are now working hard to piece together exactly what occurred and would like to hear from anybody who saw the collision, or saw the vehicle in the moments before it happened. Sergeant Andy Walton, of the Roads Policing Unit, said: “Mr Roper sadly lost his life, and first and foremost our thoughts are with his family and friends. We send them our deepest condolences at this incredibly difficult time. Anybody with information should contact police on 101, quoting log number 487 of September 17th.